Helping our Customers Reach New Customers Online! Your marketing plan can succeed only if it grows directly from your prospects’s needs and concerns. Job one is answering the questions that keep them from picking up the phone. Your marketing team combines decades of experience in print, direct mail, social media and web marketing to anticipate those questions to deliver a steady pipeline of new and repeat customers to your business. Strategy: Who are your best prospects and what is preventing them from being your best customers? Marketing: How are you reaching prospects now, as compared to your competition? Acquisition: What are your barriers to converting prospects into customers? Retention: What are you doing to ensure that you get the next call and customer referrals? Tracking: How are you monitoring the success of your ongoing marketing efforts? If you are ready to jump-start your marketing around your ideal customer, call (210) 599-8071 now to schedule a marketing interview. Still Looking for a Web Developer? Stop looking for developers and start looking for marketers. It’s all about your customer. Right or wrong, your prospects will assume how you do anything is how you do everything. A consistent presence, from the way you answer the phone, to branded items and presentation materials, is a great comfort to prospects who are looking to your business to solve their problems. A visit to your website or social media site should feel like a visit to your store or office, or a visit from your technicians. Set and exceed reasonable expectations with consistent branding that is tailored to your ideal customer. Nobody is coming to your website for an intelligence test. They want to get their questions answered then contact you or move on if they are not happy with the answers. A well organized website with short, clear paragraphs, big buttons and easy calls to action will help you convert visitors into customers, rather than frustrating them. Years ago, the only sites to get top rankings were heavy on text and short on aesthetics. Those sites that were heavy on graphics and easier for humans to use were unreadable to Google. If there is one critical element in planning the technical side of your website, it is that your developers use the latest design and standards to make sure your site is attractive to search engines as it is to your prospects. Right or wrong, the search engines assume that fresh information is probably better than stale information. Gone are the days when you could build a site and forget about it. Announcing non-web marketing events while leveraging social media keeps your website fresh for your prospects and for the search engines. Your Marketing Team stands ready to help you figure out your ideal customer’s greatest needs and concerns and deliver a consistent message that shows your company as the perfect fit. We look forward to helping you tie your print and mail marketing to your web and social media marketing for an over-all marketing strategy that is greater than the sum of its parts. 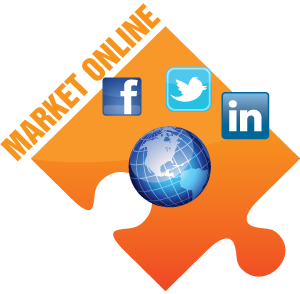 Call (210) 599-8071 now to discuss online marketing and start fitting your marketing puzzle together.